NEW YORK - Joan Rivers was hospitalized Thursday after suffering cardiac arrest during a procedure at a doctor's office, hospital officials said. The 81-year-old comedienne was "resting comfortably" Thursday evening, her daughter said in a statement. Melissa Rivers did not elaborate on her mother's condition. "I want to thank everyone for the overwhelming love and support for my mother," Melissa Rivers said. "We ask that you continue to keep her in your thoughts and prayers." WCBS has learned the host of E! 's "Fashion Police" was rushed to Mount Sinai Hospital shortly after 9:30 a.m. in cardiac arrest after she stopped breathing during a procedure on her throat at a clinic on Manhattan's Upper East Side. 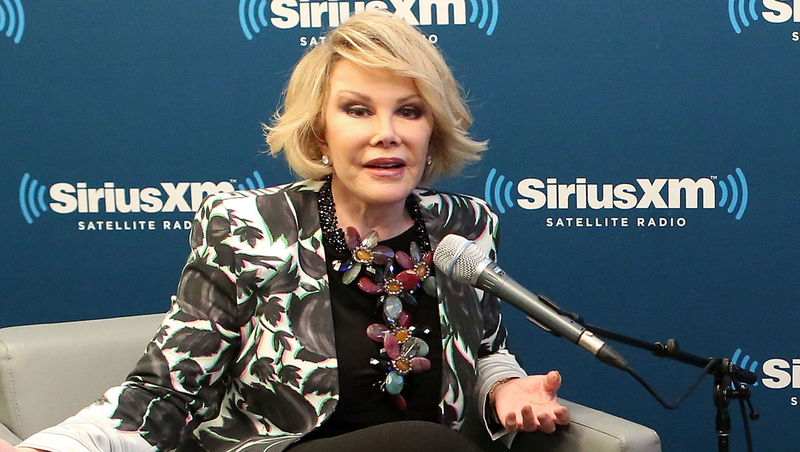 "This morning, Joan Rivers was taken to The Mount Sinai Hospital in New York, where she is being attended to," hospital spokesman Sid Dinsay said in a statement. "Her family wants to thank everybody for their outpouring of love and support." Dinsay did not release any information about her condition. CBS New York reported she was in critical but stable condition Thursday night. In addition to hosting "Fashion Police," Rivers also has an online talk show, "In Bed With Joan." She and her daughter co-star on the WEtv reality show, "Joan & Melissa: Joan Knows Best?" Rivers had been scheduled to perform Friday night at Count Basie Theatre in Red Bank, New Jersey, but the show has been postponed, according to 1010 WINS, the CBS radio station in New York.